It's Friday, woohooo! I am so glad this week has come to an end, it's been a busy one! Today is even more special because it's my 22nd wedding anniversary. I can't believe it's been 22 yrs! It's been quite the ride and I look forward to the next 22 with my hubby! 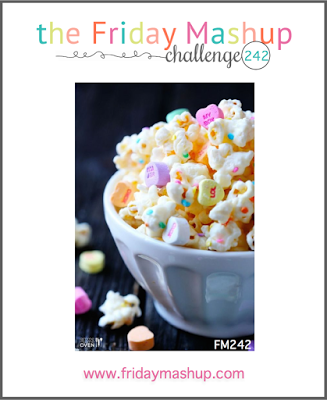 Today's Friday Mashup is perfect for my special day....it's either about creating a project for your Valentine or create a project featuring a candy image. We don't do Valentine's Day in my house but hubby is my love so we'll go with the general love theme. 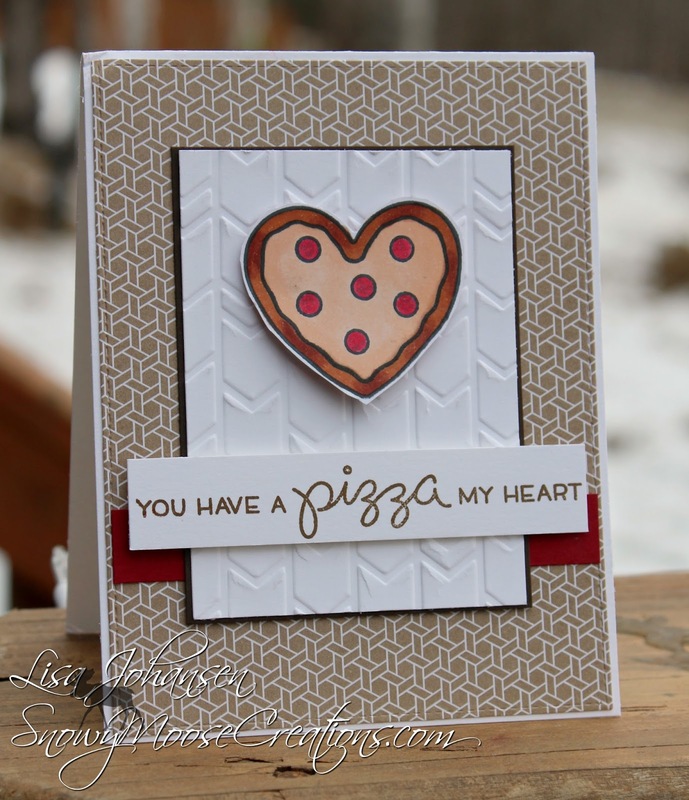 I don't have any candy images so I used a new set from Lawn Fawn called Pizza My Heart. Pizza is very popular in my house and while my husband, daughter and nephew love all kinds of stuff on their pies me and the other kids like good ol' pepperoni, so that's the pizza I made. I did some basic coloring with copics and then popped with pizza up on an embossed panel. My layout was inspired by the current Freshly Made Sketch, although I had to make all my elements bigger than what the sketch called for due to the size of my sentiment. Head on over to The Friday Mashup to see what the rest of the design team came up with and then play along with us! 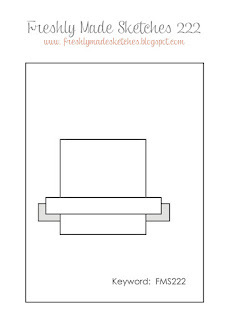 Create a project for your Valentine. 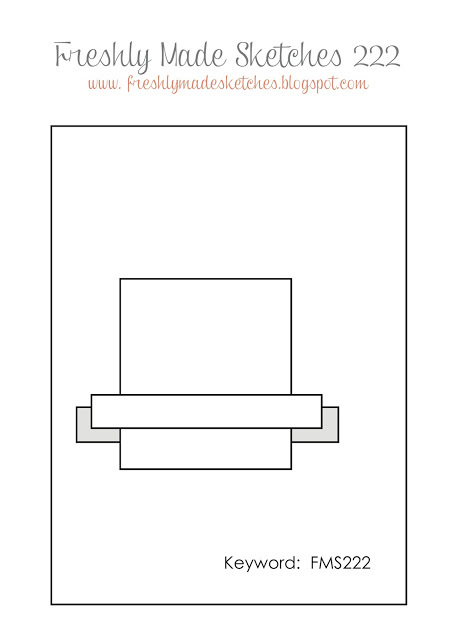 Create a project featuring a Candy image. or Mash it Up!! and create a V-day Candy themed project. This is such a great card Lisa! 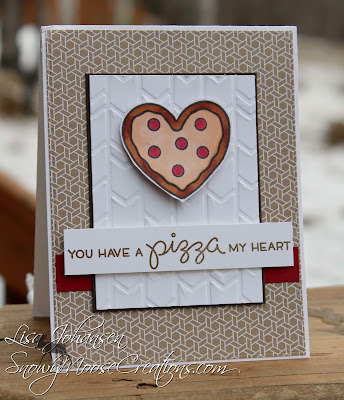 I love that pizza heart and that sentiment is fabulous! Congrats on your wedding anniversary! Thanks for joining us this week at Freshly Made Sketches! Adorable! Love the heart pizza and the fun sentiment! Glad you joined us at FMS!